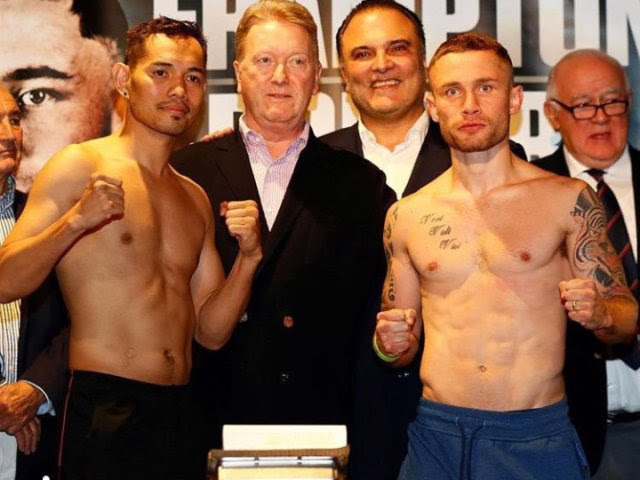 Former four-division world titleholder Nonito “The Filipino Flash” Donaire 38-5 (24) is the latest high profile signing to the second season of the World Boxing Super Series. “I’m really looking forward to the tournament,” said Donaire, who will be competing in the bantamweight division for the first time in seven years. The 35-year-old US-based Filipino’s last two bouts have been at featherweight, but he is more suited to the super bantamweight division despite his lanky 5-foot7.5 frame. The last time he fought at bantamweight was against Omar Narvaez in October 2011. The WBSS has offered the skilful veteran one last chance to achieve his career goal. “People always asked about my goal and I said to be undisputed. With this tournament, that goal is now attainable,” said Donaire. The former flyweight, super bantamweight and featherweight champion will be joining WBO champion Zolani Tete, IBF kingpin Emmanuel Rodriguez and leading contenders Jason Moloney and Juan Carlos Payano in the eight-man, single-elimination tournament. WBA boss Ryan Burnett has been announced as taking part, although recent rumours suggest he is on the verge if withdrawing. Final contract negotiations are underway for Japanese three-division champion Naoya “Monster” Inoue to join the competition. “Entering the tournament gives me an opportunity to showcase my capabilities against the best in this division. This division is stacked with talent and that’s really exciting!” said Donaire. In other WBSS news, WBA number five and IBF number nine bantamweight Mikhail Aloyan 4-0 is the latest boxer rumoured to be participating. The 29-year-old Armenian-born Russian is an Olympic bronze medallist, European champion and two-time world amateur champion in the flyweight division. At the Rio Olympics in 2016 Aloyan won the silver medal at flyweight but was disqualified after testing positive to the banned substance tuaminoheptane, a known stimulant. Aloyan, a southpaw, turned professional in May 2017 with a 10-round unanimous decision win over 34-fight veteran Yadar Cardoza. He decisioned Marvin Solano over 12-rounds last July and scored 10-round split decision victories over Hermogenes Elizabeth Castillo in December and Alexander Espinoza in February in his last two bouts. All four of Aloyan’s professional fights have taken place in Russia. He is yet to score a knockout as a pro.